In February 2010, after a “come to Jesus” moment with the scale late one night, I joined a gym and a few months later participated in my first 5K: the Starlight Run. Along the way of becoming a runner, I knew I needed information. And I knew that I didn’t want to follow any diet plans or guidebooks since they all seemed to contradict one another (just this week I saw an article about how three eggs a week can cause heart disease…but I thought I needed eggs for the protein…). Instead of those what to eat / do / think books, I instead started reading books about running, especially those that were written by the runners about their journey. I wanted to learn from the real people who were doing, and sometimes failing, at the work. Since then, I’ve run a few thousand miles and am on my fourth shelf of running books. 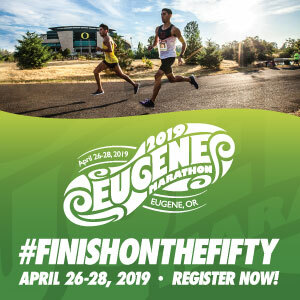 These days I will sometimes pick up a strength training book or something to help with mindset, but it’s still those stories that I love the most, and it’s one of those books that I want to highlight for Run Oregon readers today. 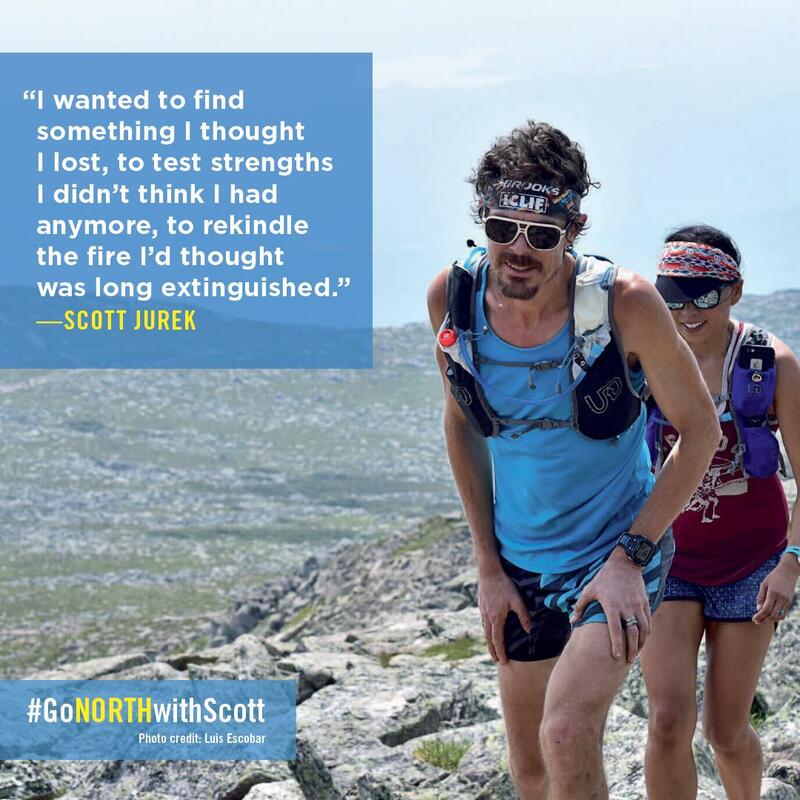 North: Finding My Way While Running the Appalachian Trail is the account of Scott Jurek’s attempt to achieve the FKT (fastest known time) on the 2,189-mile journey over the Appalachian Trail. 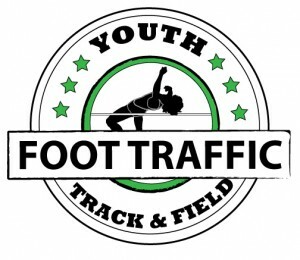 The title comes from the direction that Scott chose to run the trail, and the fact that his goal was to reset his compass after a few years of floundering in his running. The official goal was to complete the trail in less than 47 days. The real goal, and one that Scott struggles with throughout the book, is to understand why he was out there and what would be after the finish (whenever that was going to be). 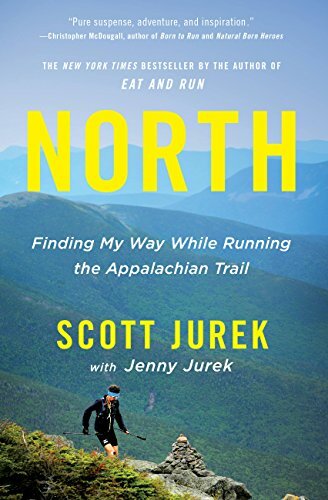 It’s critical to highlight that this book was written “by Scott Jurek with Jenny Jurek.” Jenny Jurek, Scott’s wife and “JLu” in the book, was in charge of Scott’s crew support for the month and a half attempt. Each chapter in the book includes a section from her perspective, sometimes adding details Scott did not know at the time or even sharing the over side of a conversation between the two of them. It was so valuable to have her voice included because the FKT attempt could not have happened without JLu and the hundreds of other crew members, trial angels, runners, and online fans that are mentioned in the text. This was a team attempt. I had no idea going into the book if Scott (and Jenny) were going to be successful in achieving their time goal. And though it was a struggle (nothing like Scott’s but something), I managed to avoid looking at the final pages or asking Siri for the answer. The suspense was worth it in reading this book. About a week into the attempt, Scott suffered from a major set of injuries that slowed him down significantly for several days. Less than 100 pages into the book, I was wondering if he was about to quit and I was going to be reading about his mental process for accepting failure. I’ll share now that he does not quit after those injuries, but I’m not going to spoil the ending of the journey. Just like Scott, you should get there yourself. I recommend this book for anyone considering ultra-running, or any type of challenge that is going to take every part of them to succeed. If nothing else, it will remind you how critical it is to have a diverse crew of voices to support you.